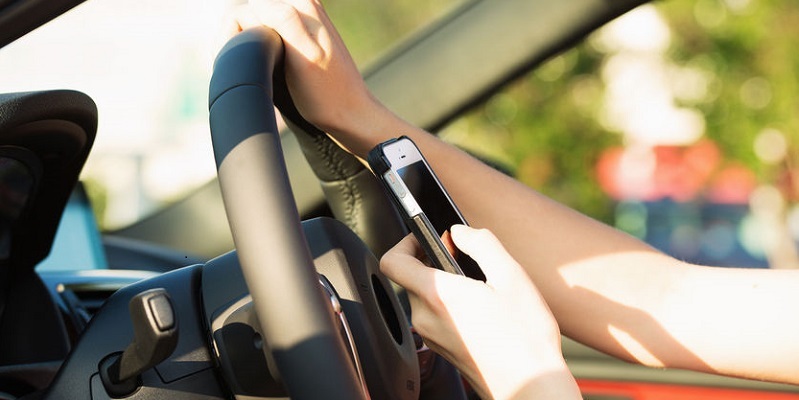 The NHTSA has found that driver distraction is responsible for 10 percent of all fatal crashing involving teen drivers. Phone apps and features can keep your young driver safe even when you’re not in the car. It’s a statistic that should concern every parent of a teenage driver: Automobile accidents are the leading cause of death for teenagers 16 to 19 years old. According to the Centers for Disease Control and Prevention, in 2014 six teenagers between the ages of 16-19 died every day from motor vehicles injuries. So, the question is, how do you keep teen drivers — and passengers for that matter — safe? The National Highway Transportation Safety Administration (NHTSA) has found driver distraction responsible for 10 percent of all fatal crashes involving teen drivers. In other words, the driver was involved in some activity that diverted his or her attention away from driving. Automobile and tech companies have been keeping these factors in mind as they develop new technology that can keep younger drivers safe and more focused on the road. For instance, in 2013, Ford designed something called Ford MyKey, which allows parents to control certain aspects of driving when they are not in the car. The technology is programmable with features such as Belt-Minder, which mutes the radio until seat belts are fastened. There is also a volume control on the radio to keep the sound down, and a Do Not Disturb feature that blocks incoming calls and text messages until the car has stopped. According to Ford, millions of their vehicles with this technology are now on the street, and the features are being made available in more and more car models. Ford is not the only car company focusing on teen safety. According to Cars.com, automakers Lexus, Chevrolet and Hyundai all have developed technology that allows parents to set speed limits and drive time on their teens. Some of the technology even allows parents to set geo-fence boundaries and alerts them when their teen driver leaves a specified area. DriveScribe: Monitors teen driving and rewards safe driving habits. Your teen can accumulate points and redeem them for gift cards. MamaBear: Lets you monitor your child’s actions and driving speeds, and lets parents see where their children are at all times through GPS tracking. So, if you have young drivers or soon-to-be drivers in your family, just know there are several phone apps or actual internal auto devices that can allow you to monitor your child’s driving whether you are in the car or not.